Tracy Copenhaver is the senior partner in Copenhaver, Kath, Kitchen & Kolpitcke, LLC. He graduated from the University of Wyoming Law School in 1982. Tracy enjoys practicing law in Powell, Wyoming and returned to Powell initially to practice law because it provided a great place to raise a family and has a multitude of outdoor activities which Tracy enjoys. Tracy is licensed to practice law in all courts in the State of Wyoming, as well as the 10th Circuit Court of Appeals and the United States Supreme Court. Current areas of practice include: insurance defense work for all liability claims, as well as public entity representation. Tracy does a considerable amount of work in education law and defense of public employers and employees. He provides services to individuals and employers pertaining to employment issues, employer representation, labor law, civil rights and basic contract issues of all kinds. Tracy also provides services regarding real estate transactions, wills, trusts, probates, and general civil litigation. Clients include numerous school districts and a community college, several hospital districts, irrigation districts, joint powers boards and other cooperative entities, as well as numerous private employers. A transplanted Cornhusker from the Panhandle of Nebraska, R. Scott Kath has been a resident of Wyoming since 1975 when he moved to Jackson, Wyoming to manage a retail store. Having completed his freshman year at the University of Nebraska, Scott resumed his college career at the University of Wyoming in 1978, receiving his Bachelor of Science Degree, with Honors, in Psychology in 1981. He then continued his post graduate education at the University of Wyoming College of Law, receiving his Juris Doctor degree in May of 1983. He is licensed to practice before all Wyoming courts, including the Wyoming Supreme Court and the United States District Court for the District of Wyoming. Scott moved to Powell Wyoming in January of 1984 to begin his current and longstanding association with the Copenhaver Law Office and has been a partner of the firm since 1986. He was appointed by then Governor Ed Herschler as Assistant Public Defender in 1984 and has held that appointment since that time. He was appointed, and remains, the Deputy City Attorney for Powell since 1989. In 1995 he was appointed to the Economic Development and Stabilization Board by then Governor, Jim Geringer. 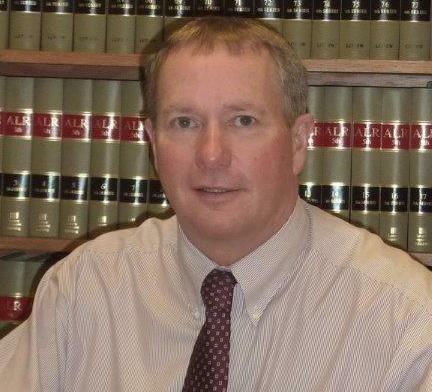 He has served as a Hearing Examiner for the State of Wyoming Office of Administrative Hearings from 2006 to date. Scott has been actively involved in the legal profession, including his serving as past President, Vice-President and Secretary/Treasurer of the Park County Bar; former Vice-President, Treasurer and Board member of the Wyoming State Bar Foundation (2005-2011); and served on the Editorial Board of the “Wyoming Lawyer”, the Wyoming State Bar’s semi-monthly legal publication. He was recently elected Wyoming State Bar Commissioner for the Fifth Judicial District. Scott has also involved himself in local community service, having been a previous Board member and former President of the Park County Big Brother and Big Sisters (1988), a member of the Park County Mental Health Board (2001-2008), a member of the Northwest Family Planning Board (1999-2006), and currently a member of its Advisory Board. Together with his wife, Meg, he has enjoyed being a host family for Rotary exchange students and for several NWC volleyball players. Scott has been married to his wife Meg for over 30 years and has two grown children, Robbie and Emily. His outside activities include downhill skiing, billiards, bad golfing, rafting, biking and hiking. After earning a Bachelor of Science degree with honors at the University of Wyoming, Sandra graduated from the University of Wyoming College of Law in 1983 and was admitted to the practice of law that same year. 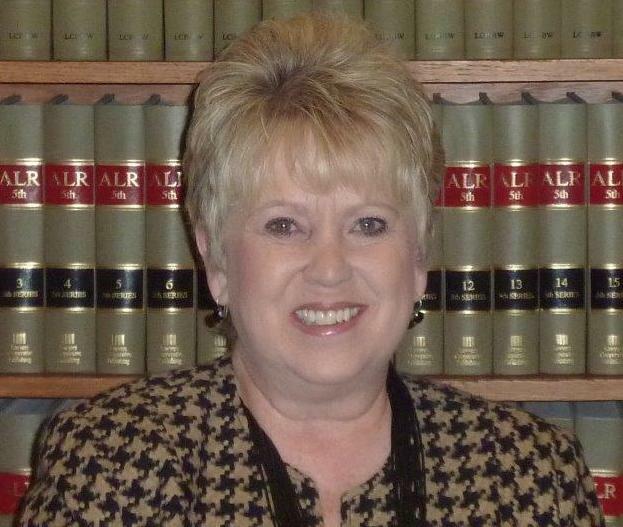 Sandra has practiced law in Powell, Wyoming for 30 years and has been a partner with this firm for 28 years. She was appointed by the Wyoming Supreme Court to serve on the Wyoming State Bar Board of Law Examiners Committee for Character and Fitness, currently serving as chairperson of this committee. She also serves on the State of Wyoming Permanent Rules Advisory Committee Juvenile Division. Sandra has a general civil practice that includes municipal law; guardianships, conservatorships, adoptions; guardian ad litem work; real estate; estate planning; and probate. In her free time, Sandra enjoys travel, hiking, the outdoors, and spending time with her family. Scott graduated with his law degree from the University of Wyoming College of Law in 1996. During his third year in law school, Scott was the Student Director of the University of Wyoming Legal Services Clinic, a program which allows third year law students to gain experience by providing legal services to indigent clients under the supervision of a UW law professor. After passing the bar exams in Wyoming and Colorado, Scott worked for a small law firm in Laramie, Wyoming, focused primarily on estate planning. In 1998, Scott moved to Powell, Wyoming and joined Copenhaver, Kath & Kitchen, LLC. Scott continues to help clients with their estate planning, business planning, and real estate needs. He also regularly advises and represents cities, towns, school districts, and other local governmental agencies in Wyoming. He has given numerous presentations to school boards, council members, administrators, and supervisors on employment law, school law, and government ethics. Scott and his wife Linda live in Powell with their twins, Ryan and Kayla. When Scott is not helping clients, he enjoys hunting, fishing, skiing, camping, and watching Ryan and Kayla play a number of sports, including hockey and soccer.